Rap Sheet editor J. Kingston Pierce suggested that I write a piece about George Chesbro, a mystery writer and my friend, who died on November 18. I’ve spent a lot more time than it should have taken to write this, as I’ve found it difficult to put into words what George and his work have meant to me. I don’t know how much sense what follows will make, but hopefully it’ll provide some insight into the man and his work. 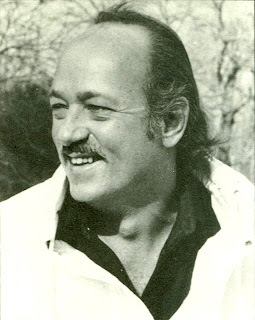 George C. Chesbro had a unique voice among the mystery/private-eye fiction writers of the 1970s and ’80s. He was able to blend mystery with suspense, fantasy, science fiction, and even a touch of the supernatural in a way that I’ve never seen anyone else do. His most famous creation, Dr. Robert Frederickson, is a private investigator, but one not like any other. Also known as “Mongo the Magnificent,” Dr. Frederickson is a criminologist, ex-circus headliner, and martial-arts expert in addition to being a P.I.--and a dwarf, to boot. Despite how that sounds, the dwarf part wasn’t played for laughs, and Chesbro created a very real character who, over the course of more than a dozen novels, challenged the perceptions of what a “private-eye novel” should be. My first exposure to Chesbro’s work was back in 1989, when I was publishing the Robert McCammon newsletter, Lights Out! One of the features of that was a “recommended reading list,” and one person recommended George Chesbro’s then-new novel, Bone, which tells the story of a homeless man in New York who has lost his memory and carries around a human femur (hence the nickname “Bone”). The police suspect him in the brutal slayings of other homeless people, and the novel is about his search for the truth. But more than that, it demonstrates a real compassion for the homeless. In short, I loved the book, and decided I had to read more by Chesbro. At that time, I read pretty much nothing but horror fiction, and I had never heard of the Mongo novels, even though eight installments of that series had been published by 1990. By sheer luck, the next Chesbro novel I found (a year later) was a used paperback copy of Shadow of a Broken Man (1977), which just happened to be the first Mongo novel. I read Shadow in a single sitting--something I rarely do. I found the story very exciting and the prose very easy to read, but mostly, I was intrigued by the character of Mongo, who weathers all sorts of challenges in the novel. By that time, many of the Mongo novels had gone out of print and were hard to find, and in those pre-eBay, pre-Amazon/AbeBooks days, it took another couple of years for me to find the first half-dozen Mongo books. But I eventually did, and read them all in quick succession. I was amazed by the stories, the characters, the action, and Chesbro’s fine prose. As the series progressed, the stories became more and more bizarre, but also more and more polished. The third Mongo novel, An Affair of Sorcerers (1979), introduced the occult into the series, as Mongo takes on a coven of witches in modern-day New York City. The fourth novel, The Beasts of Valhalla (1985), really upped the ante for the series by introducing fantasy and science fiction into the mix, with a plot that involves mad scientists, The Lord of the Rings, Wagner, de-evolution, and a talking gorilla. Despite the wildness of the plot, Chesbro never loses control of his story, and Mongo and his brother, Garth Frederickson, really grow as characters. Ultimately, the fantastic elements in this series were reined in some and politics began to take center stage, with Mongo ultimately investigating the behind-the-scenes takeover of the U.S. government. Sadly, the books’ popularity dropped as they became more political in nature, and the last Mongo novel published in the United States, Dream of a Falling Eagle, appeared in 1996. I won’t try to summarize the plots of all the Mongo novels, as that has been better done by others; but you can find information about every one of the books on the Chesbro Web site, Dangerous Dwarf, along with comments about each by the author himself. In addition to the Mongo series, Chesbro wrote three books about a self-employed mercenary and Vietnam veteran named Chant Sinclair, which were originally published pseudonymously as by David Cross--Chant (1986), Chant: Silent Killer (1987), and Chant: Code of Blood (1987). Those novels were conceived as a succession of men’s adventure stories, with the publisher’s plan being that others could also write under the house name David Cross. But the plots proved too complicated for the target audience, as the books’ poor sales reflected, and the series was ultimately canceled after the third novel. An earlier version of Chant was resurrected under the character name Veil Kendry in a couple of non-Mongo novels--Veil (1986) and Jungle of Steel and Stone (1988). Ultimately, and to nobody’s surprise, both Veil and Chant crossed into the Mongo universe, most notably in the novel Dark Chant in a Crimson Key (1992). Well. What a hoot! Mongo and Garth, et al., this Web site business is just the coolest thing. ... My thanks for your interest and very kind words re. my work. P.S. Mongo and Garth say (and I quote), Right On! and send their best regards. I was thrilled beyond words to receive that reply. I had hoped to hear something from Chesbro, but I had not expected to get a message from Mongo and Garth too! Naturally, I replied to Chesbro’s e-note, and over the course of the next few months, we transformed my fan page into a full-blown, official Web site. Chesbro came up with the name “Dangerous Dwarf,” and I set up pages for each of his novels. Over time, Chesbro supplied comments about each of the books he’d published, explaining where the ideas came from and how the books were written. Anytime we discussed the Web site, the author referred to it simply as The Site. A few months after re-launching The Site, we discussed how nice it would be for his books to be made available again. The rights to all of his novels had reverted back to him, and we started discussing print-on-demand technologies to bring them into circulation once more. To make a long story short, Chesbro and his third wife, Robin, founded Apache Beach Publications, and in November 1999, they brought the first 10 Mongo novels back into print. Over the next few years, all of his remaining books were added to the backlist, and, in 2001, his first novel since 1996, The Keeper--a non-Mongo story--was published in hardcover by Apache Beach. The following years would see the release of Prism (2001), a fictional memoir, and two never-before-published short-story collections. Late in the last decade and early in this one, Mongo suddenly became very popular in France, and French translations of all the Mongo novels were published over there. Chesbro once joked about how he was like comedian Jerry Lewis: popular in France, but no longer in the States. In 2003, Chesbro wrote a new Mongo novel, Lord of Ice and Loneliness, which was again published in France. Unfortunately, he never found a U.S. publisher interested in the book, and to date, no English-language edition exists. Chesbro was a very reclusive man, but we had a great e-mail friendship that grew over the years. Unfortunately, given our physical distance from each other (he was in New York, I live in Kentucky), I never actually got to meet him in person, though we did talk on the phone a few times. He really enjoyed The Site and having the chance to correspond with some of his fans via The Site. The last contact I had with Chesbro was on October 21 of this year. He had been in the hospital for a few weeks before then, and I had written to him to see how he was doing. One of the things he told me was that he had sold a short story, “Home Inversion,” to Alfred Hitchcock Mystery Magazine. That periodical had published his very first story, “Snake in the Tower,” in its March 1969 issue. Unfortunately, shortly after George e-mailed me about “Home Inversion,” he wound up back in the hospital, and he never went home again. It seems fitting to me that his last published work will appear in the same publication that gave him his start 39 years ago. Look for it in the June 2009 issue of Alfred Hitchcock Mystery Magazine, which should be available beginning in April. I am very honored to have gotten to know George C. Chesbro. It’s always great when you finally meet one of your favorite authors and discover that he or she is just as nice as you had imagined and hoped. That was certainly true with George, and I will miss being able to talk with him and to read new stories written by him. Finally, I wish to send out a thank-you to George’s wife, Robin, for keeping me in the loop during her husband’s last days. READ MORE: “George C. Chesbro Dies at 68; Wrote Offbeat Detective Novels,” by Patricia Sullivan (Los Angeles Times); “Man of Mystery,” by Julie A. Pierce and Rowdy Rhodes (Inkwell Newswatch); “Short, Sharp, Shock: The World of George C. Chesbro,” by Clayton Moore (Bookslut); “George Chesbro: About My Guardian Obit,” by Michael Carlson (Irresistible Targets). George Chesbro was (is) an absolutely outstanding writer and I will sorely miss the hours of entertainment he provided me with.